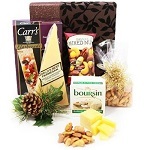 Love Me Tender is more than just a gift basket. 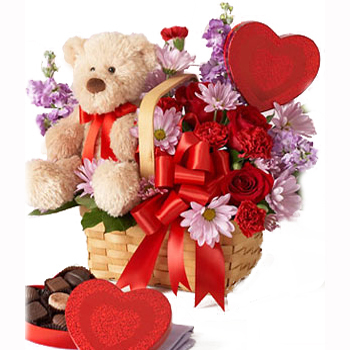 It's a love statement, designed to make the life of the woman you love sweet, pretty and tender. 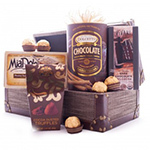 Make it sweeter with a heart-shaped box of tempting Chocolates. 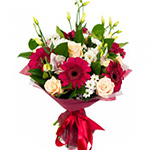 Beautifully selected Red Roses and Carnations and Purple Daisies will make her smile every time she looks at it. 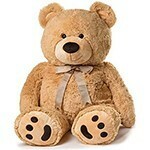 And the cuddly and soft Plush Toy is so adorable, she is sure to hug it when she receives this gift basket. 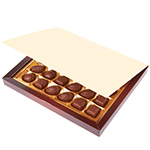 Heart-shaped gift box is subject to regional availability; if it is out of stock, item will be replaced with high-quality chocolates in romantic decor.